Free software and app-store, that doesn't work. 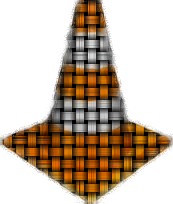 We all knew it, and VLC was pulled now. It only takes a couple of minutes if you look at the Apple TOS and the GPL that these don't fit together. However, Rémi Denis-Courmont got bashed from angry Apple-Fans (oh yeah, something completely new...). Now he put things right, how this happened. Not Videolan pulled the app, but Apple kicked it. I still think it's a good thing. Both the GPL and the Apple TOS must be respected. I'm with the GPL, but Apple also made their mind, and as a developer, you have to respect it. So if you want free software, the App-Store is not for you. You can buy a more open device like an Android phone. That fits. Here is the link to the article. Please search for January 09, 2011. There is no direct link :(.